Alex Toth only drew a handful of Black Canary stories in Adventure Comics, but his version is unforgettable. 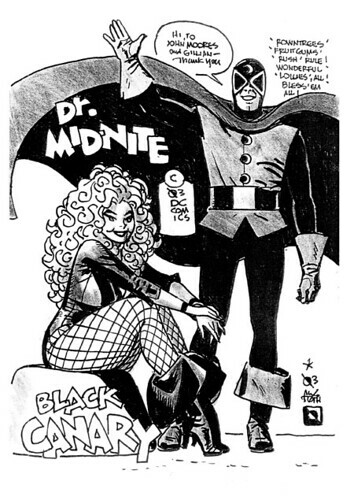 Here is a drawing Toth did for a fan in 2003, featuring Doctor Mid-Night and Black Canary. And here's a page from his Adventure Comics run in glorious black and white, with Black Canary takin' down a dude in bell bottom pants. I love Toth's sound effects and page layout. Nuff said.